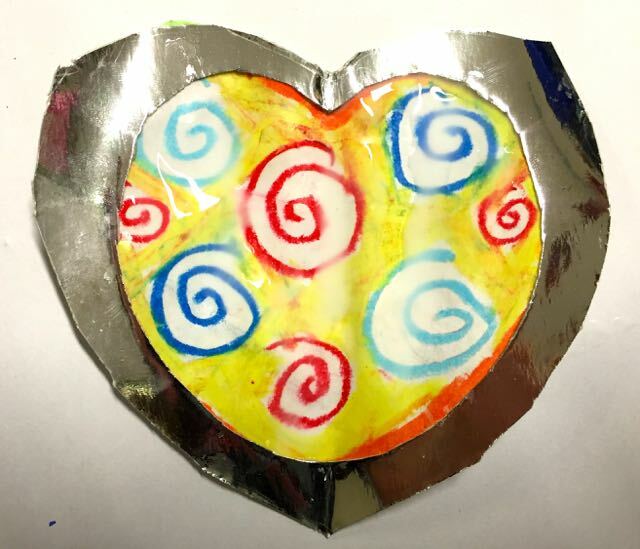 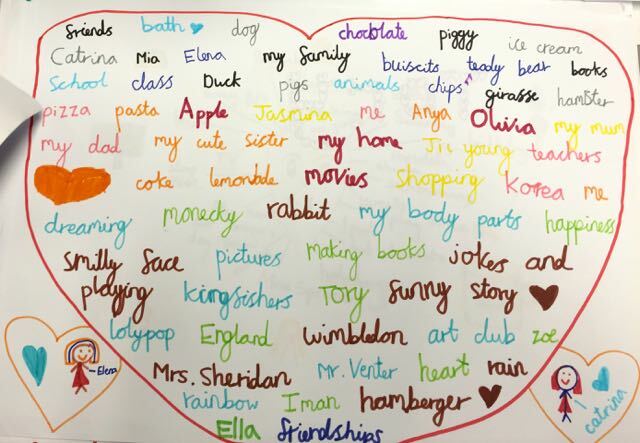 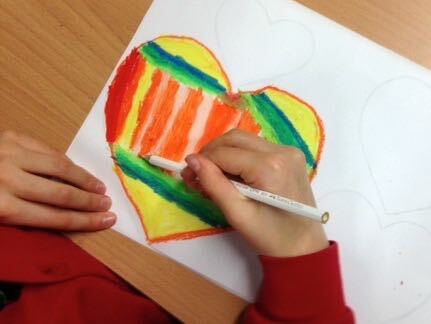 Veena has been doing a short project on the heart in preparation for Valentines day. 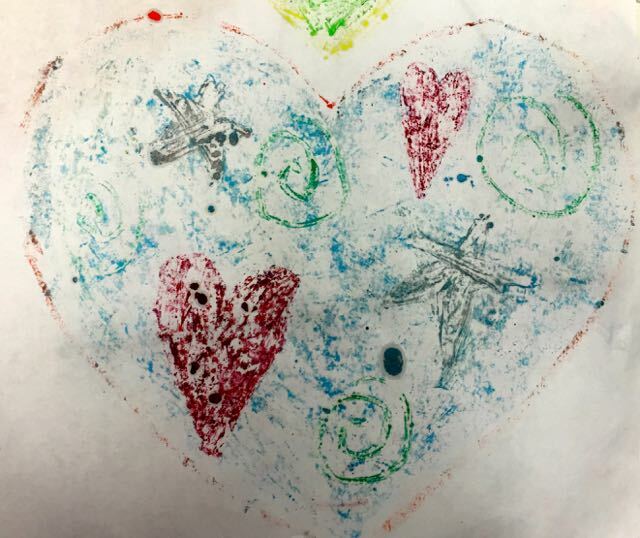 She encouraged the children to think deeply about the symbol of the heart and what it means to love. 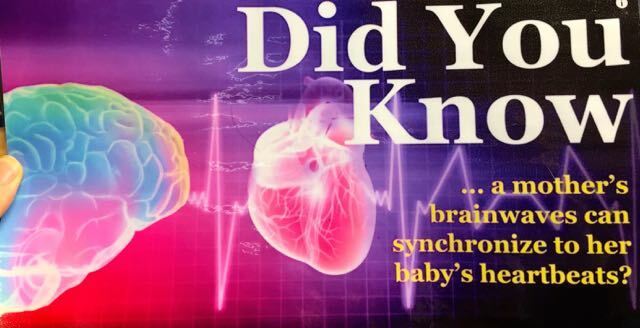 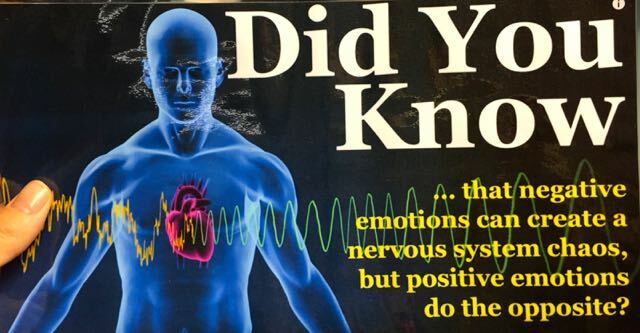 She began by showing the children a slideshow of scientific facts about the heart. 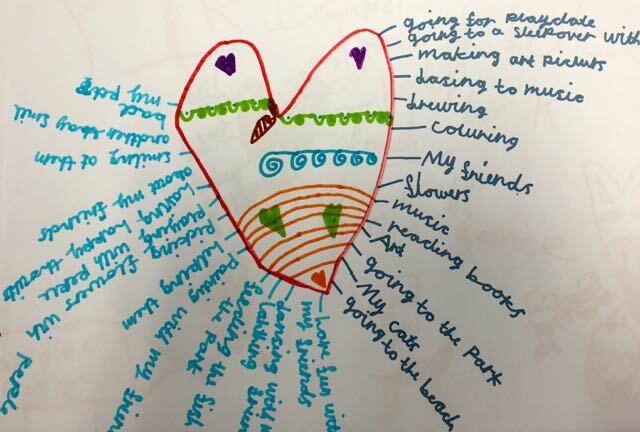 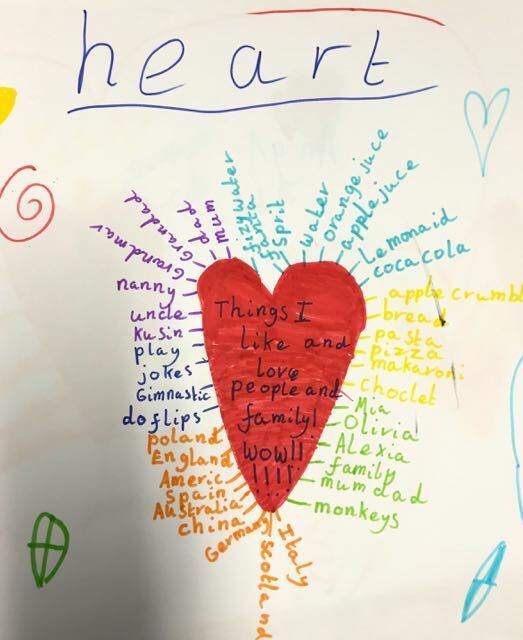 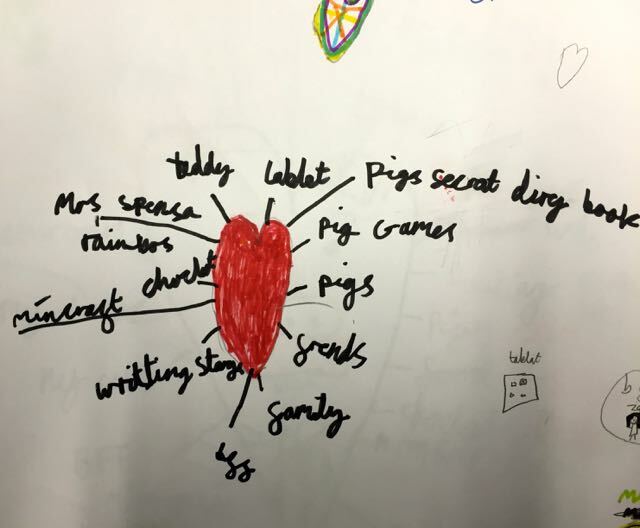 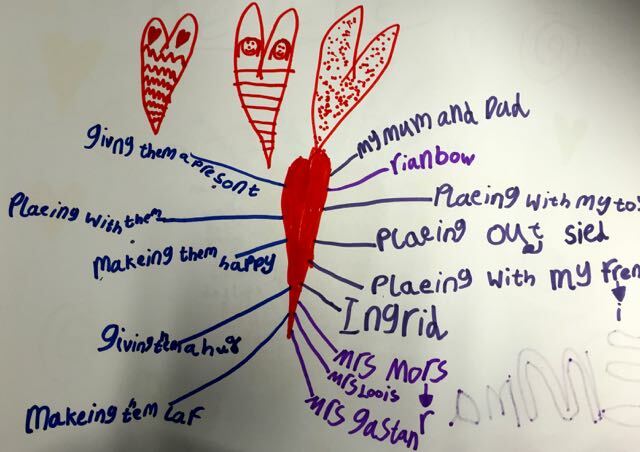 Children then brainstormed what the heart meant to them. 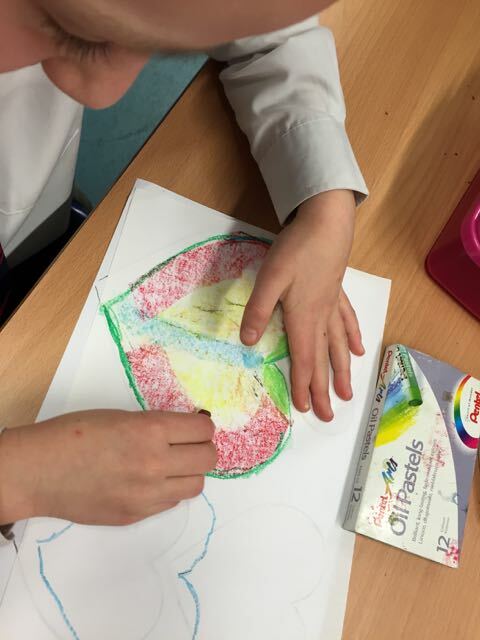 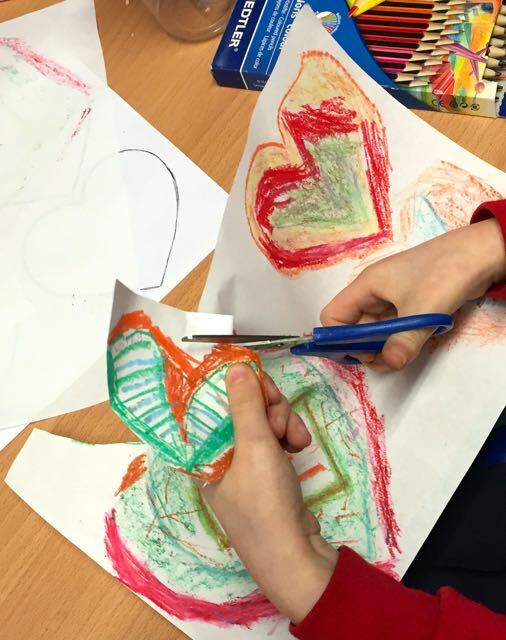 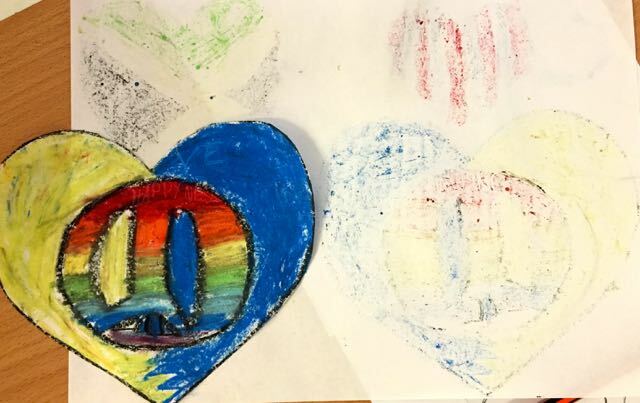 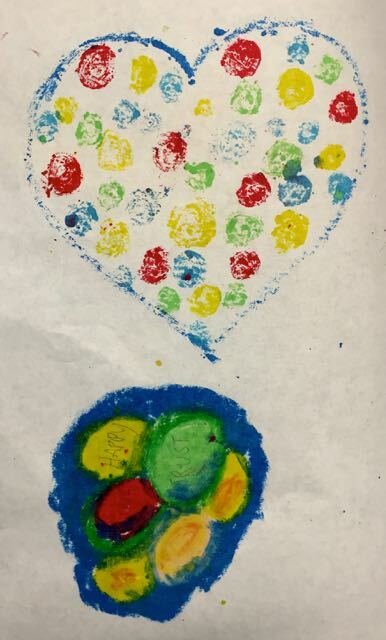 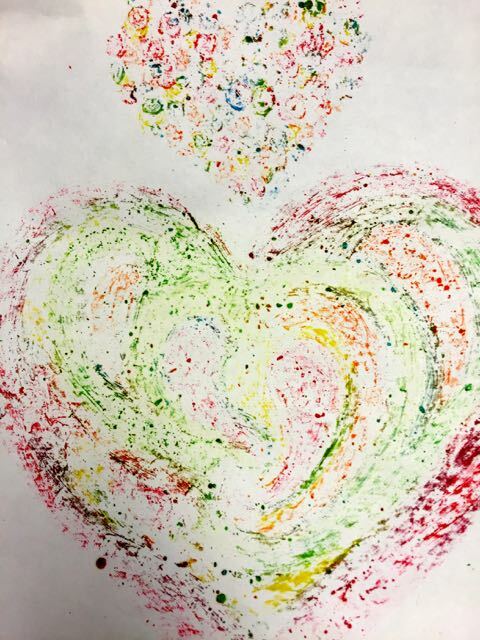 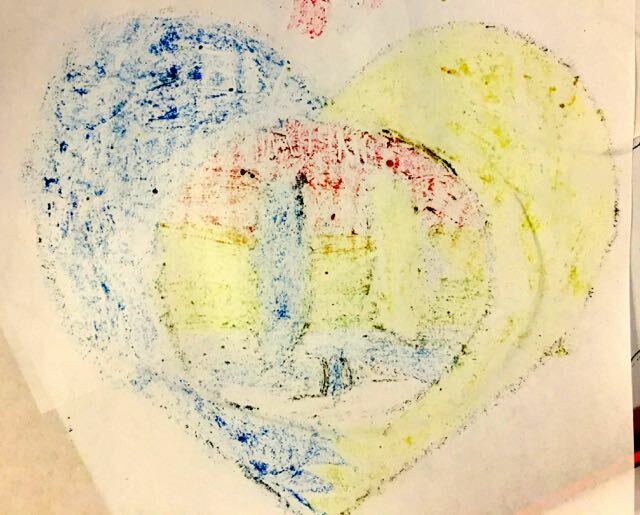 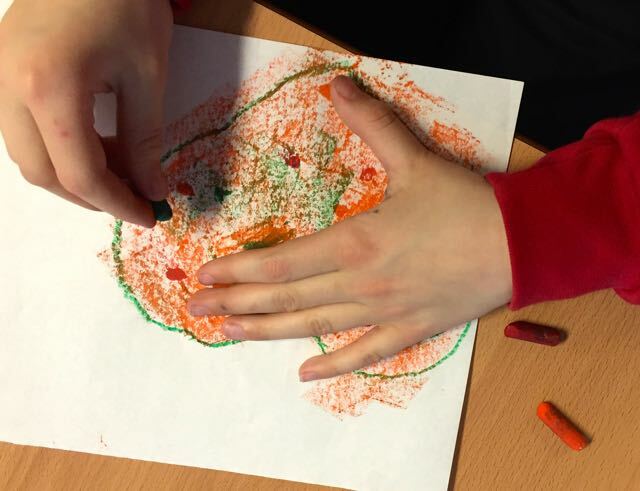 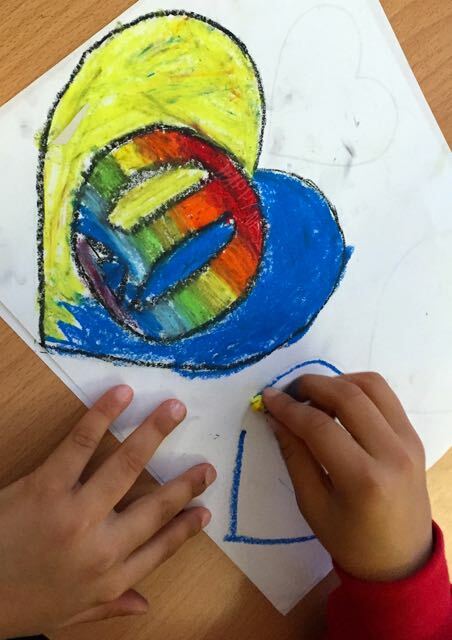 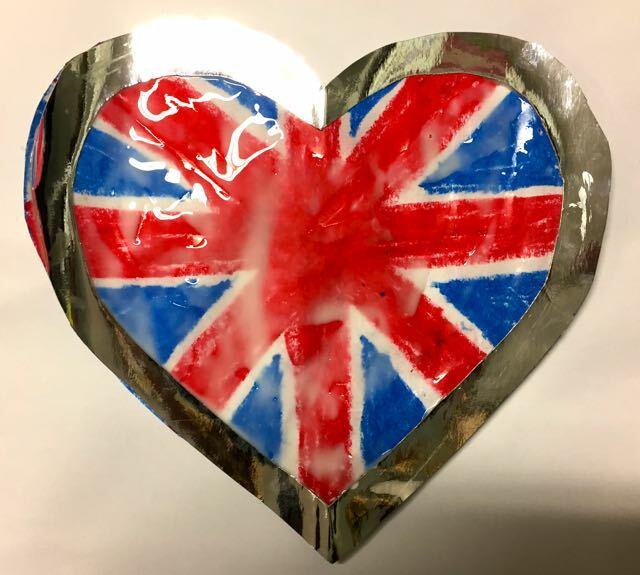 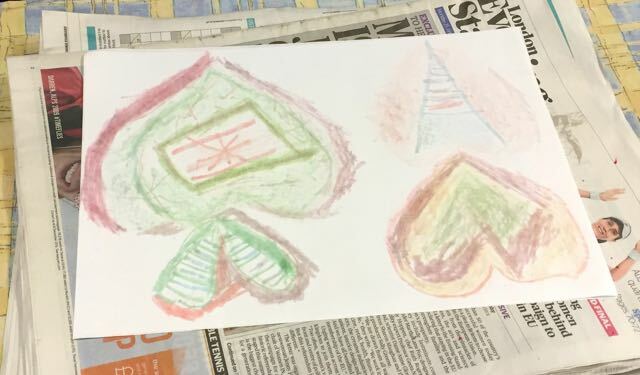 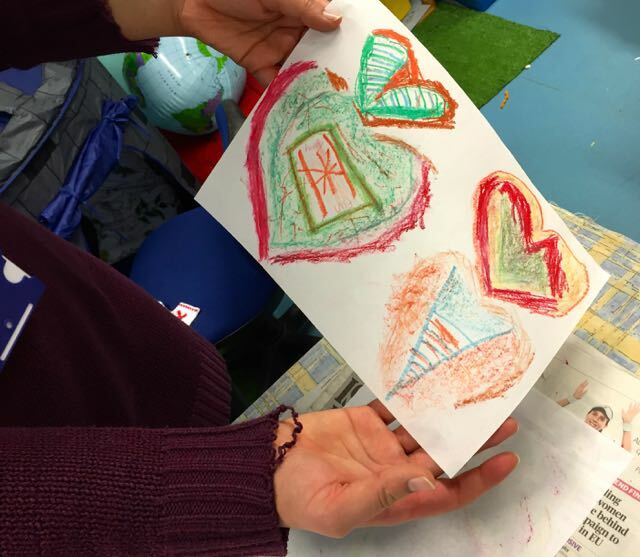 These ideas were transformed into their own heart designs using oil pastel. 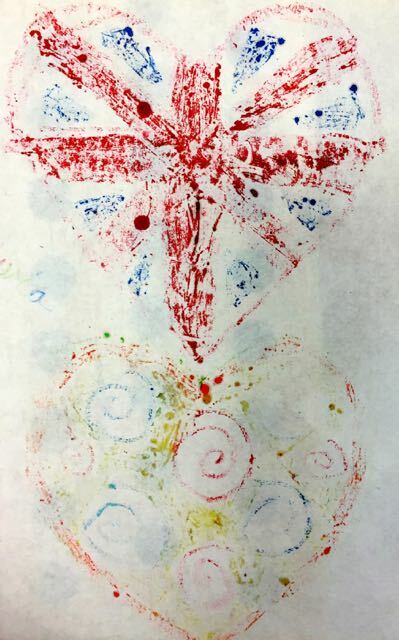 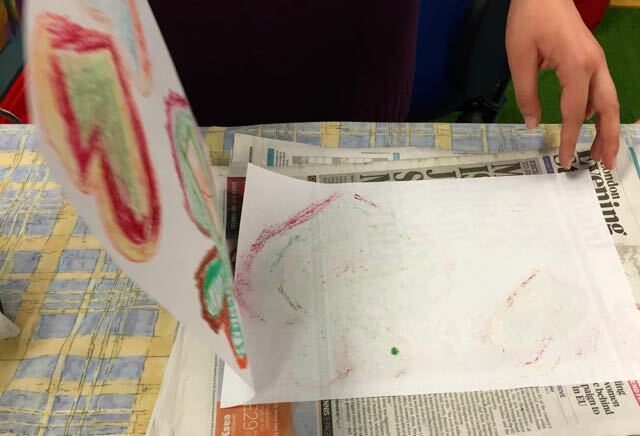 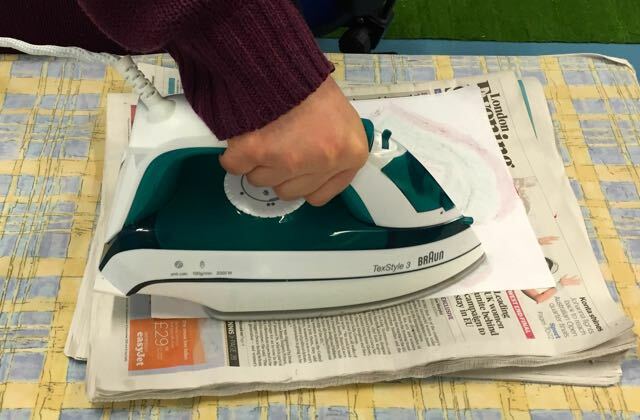 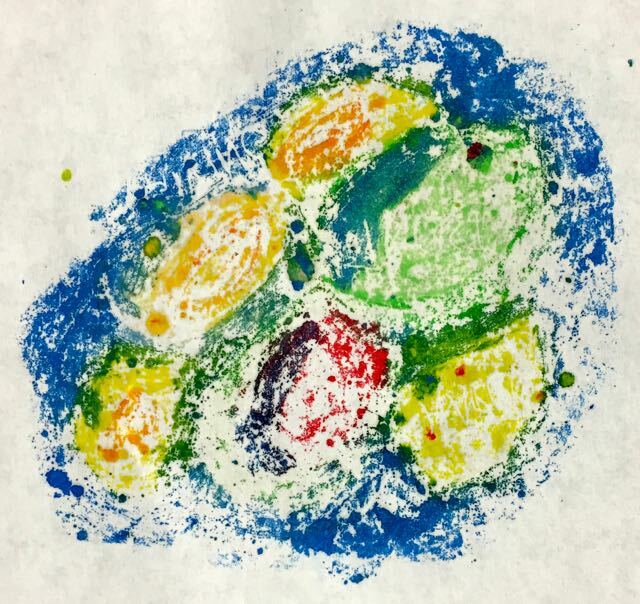 A delicate ‘off print’ was made onto thin paper using heat; transferring the oil colour onto another surface. 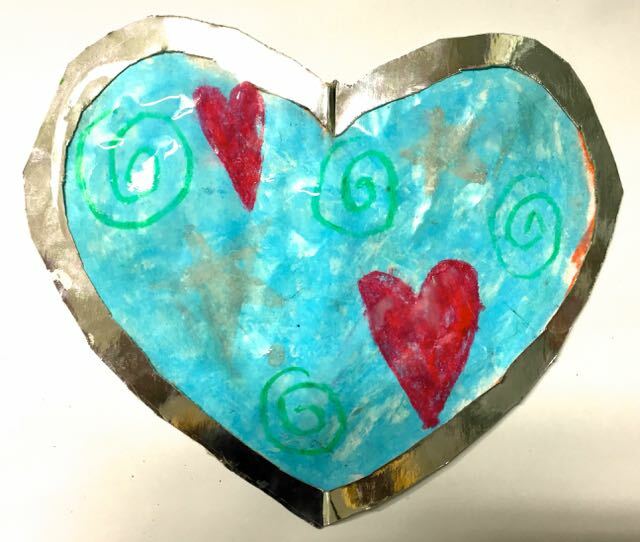 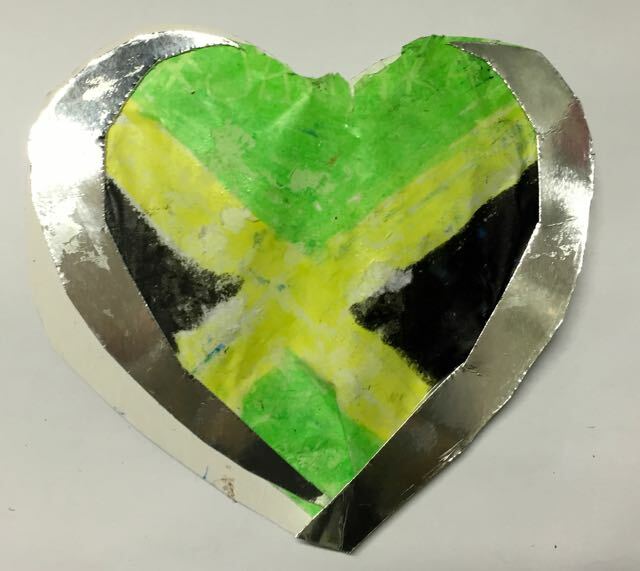 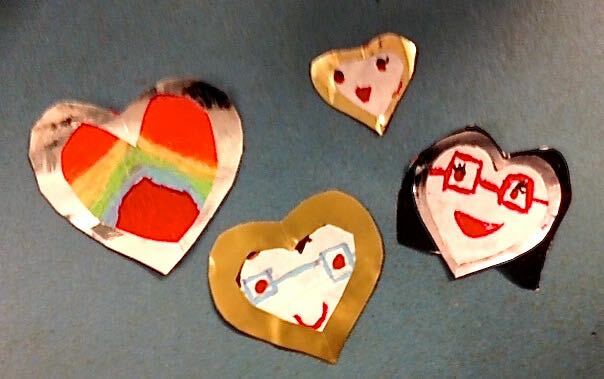 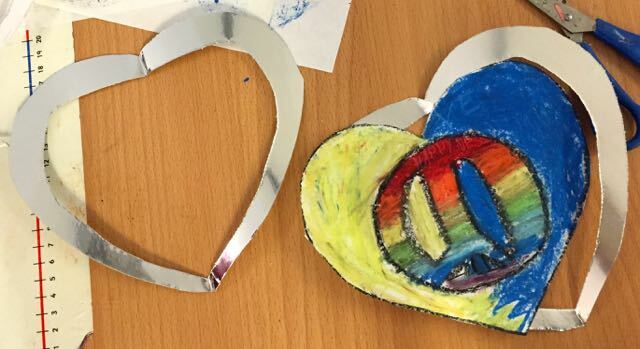 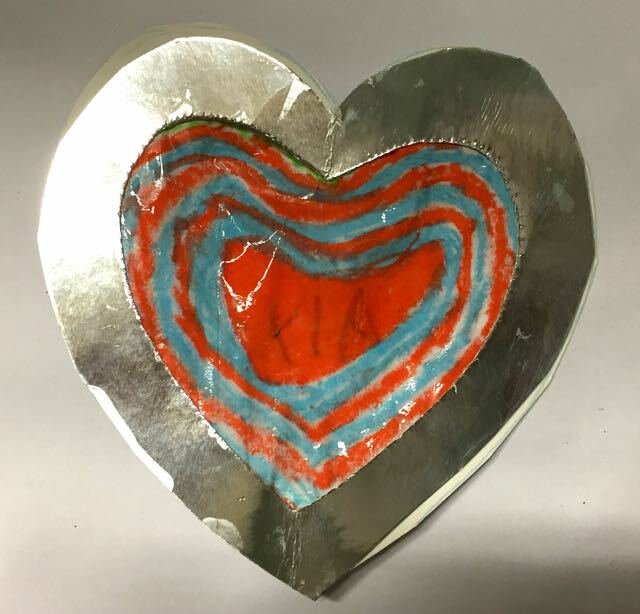 The children made 3 hearts of different sizes and gave them a silver border. 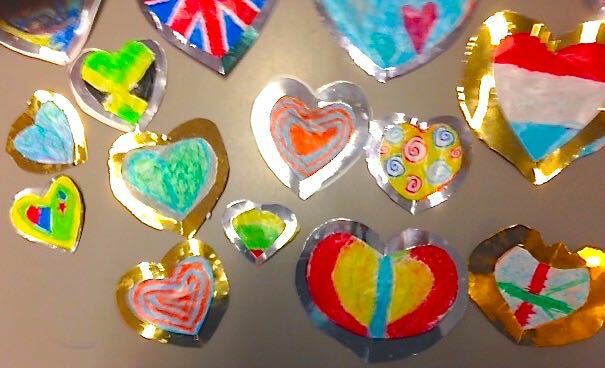 They will be strung up together with invisible twine as sun catchers to invite light and colour into each other’s hearts this weekend!